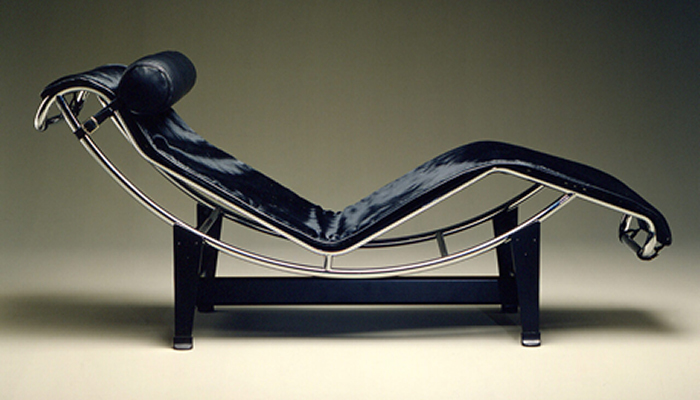 The chaise-lounge dates from 1928. It comprises two separate elements, the base and the seat. 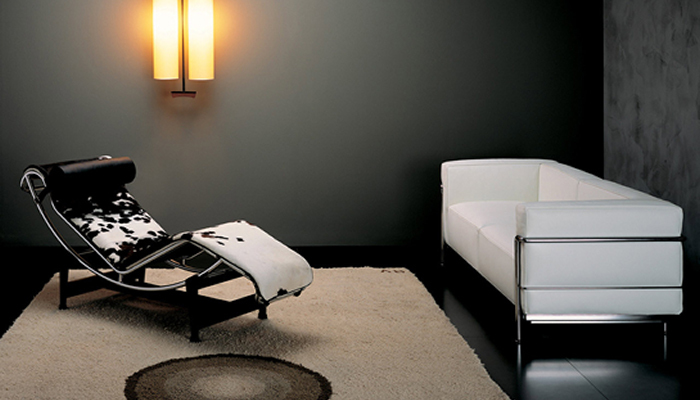 The seat is designed to slide on the base in such a way that an infinite number of sitting angles is achievable. 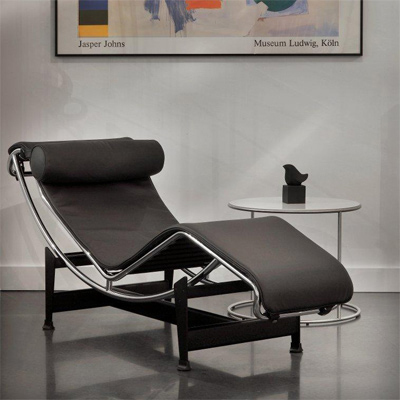 Chaise-lounge with adjustable polished chrome plated or matte black enamel steel frame. 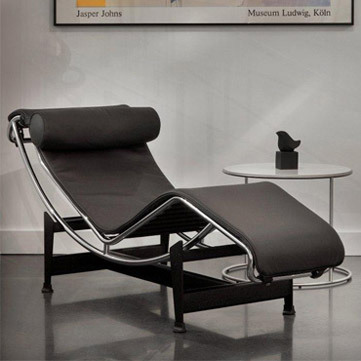 Chaise in hairy hide or LCX leather with black leather headrest. Designed & developed by TDG Marketing Inc.